L-R: Karun Sabarwal (Auto Head) Tata Tanzania Holdings Africa Limited and Saurabh Singh, Senior Manager, Passenger Vehicle International Business, Tata Motors at the launch event in Dar Es Salaam. Looks like Tata Motors is deploying the same aggressive approach it has in the domestic market to its export operations. 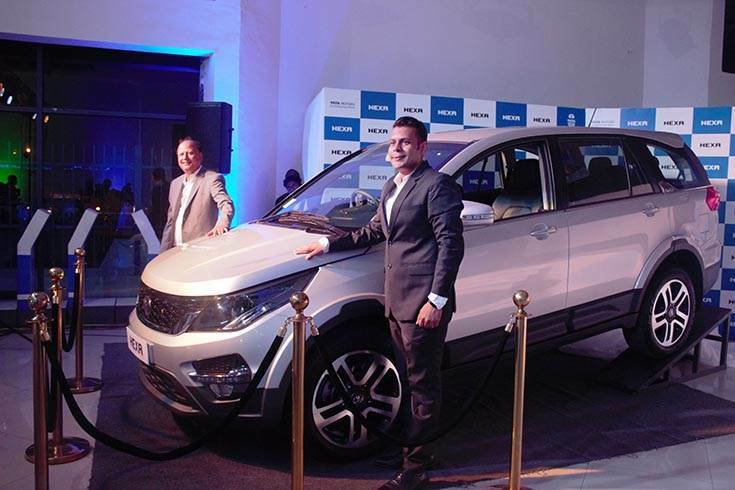 The company has, along with its distributor, Tata Africa Holdings (Tanzania) Ltd (TAHTL) commercially launched the Nexon compact SUV and the Hexa crossover in Tanzania. Launched at an introductory price of TZS 45 million (XMA variant) for the Nexon and TZS 81 million and TZS 89 million for the Hexa XT 4x4 and XTA Automatic version respectively, both SUVs will be available across the company’s authorised dealerships, starting today, under attractive finance options. L-R: Karun Sabarwal (Auto Head) Tata Tanzania Holdings Africa Limited and Saurabh Singh, Senior Manager, Passenger Vehicle International Business, Tata Motors at the launch event in Dar Es Salaam, Tanzania. Tata Motors is currently seeing a smart uptick in its export numbers. In the April to September 2018 period, Tata Motors has shipped a total of 26,685 units, which constitutes 38 percent year on year growth.